New Gurtam training portal: learn all about Wialon even faster! Blog / New Gurtam training portal: learn all about Wialon even faster! For years we’ve successfully helped countless customers and partners learn Wialon system ins and outs via study.gurtam.com certification center. Now, the time has come to give you an even better, full-fledged educational platform. Learn the system faster, get through the updates easier, and get things done with more efficiency than ever before with training.gurtam.com. 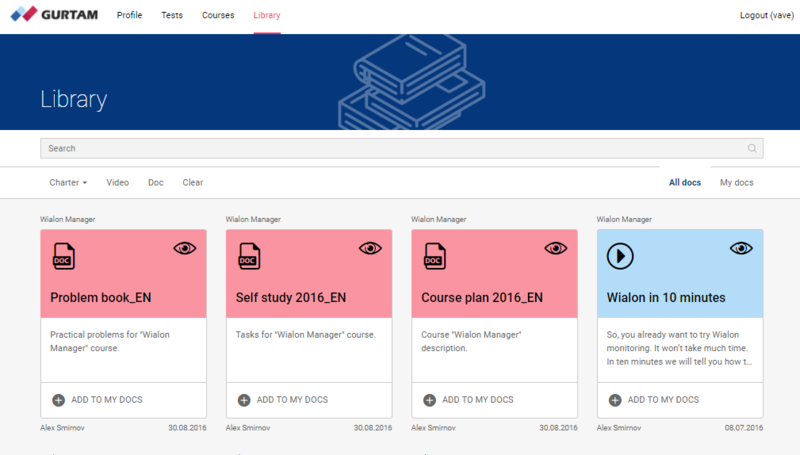 On the newly launched training site you will find the list of courses to quickly learn Wialon functionality, a media library and, of course, certification tests to assess your employees' knowledge of the system. After a test is completed, Gurtam Training Department will provide expert feedback on its results. We've carefully worked through the structure and content of each section to give you the most convenient and concise way to master Wialon. The mastermind behind the new site is Alexander Smirnov (the previous head of Gurtam training group who is now the Business Development Director in the Middle East) who directed and worked on its development for a year. Once you’ve registered/authorized at training.gurtam.com, you’ll get access to the three main sections: Library, Courses, and Tests. In this section, you will find text and media files of various types: instructions, tips, expert recommendations, video lessons, and tasks for self-study. Use search and filtration for quick navigation; add the most important files to My docs tab so that they’re always at hand. Get to learn new functionality with our Courses section. Each course is divided into chapters — from tachograph control to the information on Logistics app. In some cases, proceeding to the next chapter will require passing a mini-test to confirm that you’re fully ready for it. Providing a clear and effective certification system is one of our primary concerns. Use the Tests section to assess your knowledge of Wialon and increase your chances of securing contracts and winning business tenders. Level 1 Certificate. You have the basic knowledge of GPS monitoring, understand customer requests and are able to redirect them to other specialists for further assistance. 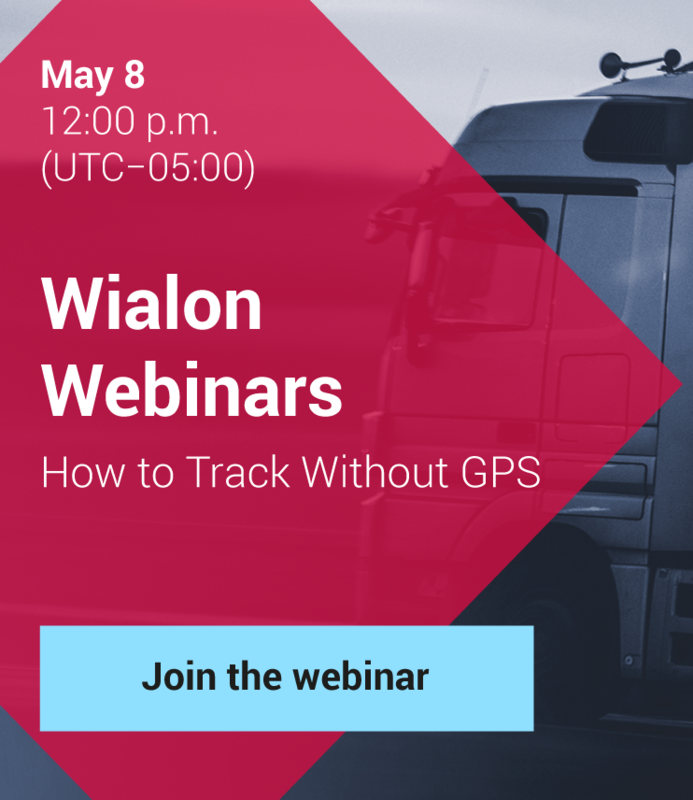 However, you are not overly familiar with technical specifications of telematics hardware and Wialon platform itself. (recommended for retailers, affiliate program participants). Level 2 Certificate. “Level 1” + you have a good knowledge of Wialon system and are able to navigate within the UI. You can consult customers on the use of Wialon modules and apps (recommended for sales and marketing specialists). Level 3 Certificate. “Level 2” + you understand the working algorithms and the principles of interconnection of Wialon services, correctly determine the necessary steps to solve common technical issues and adjust settings for a variety of tasks (recommended for business development and technical support specialists). Level 4 Certificate. 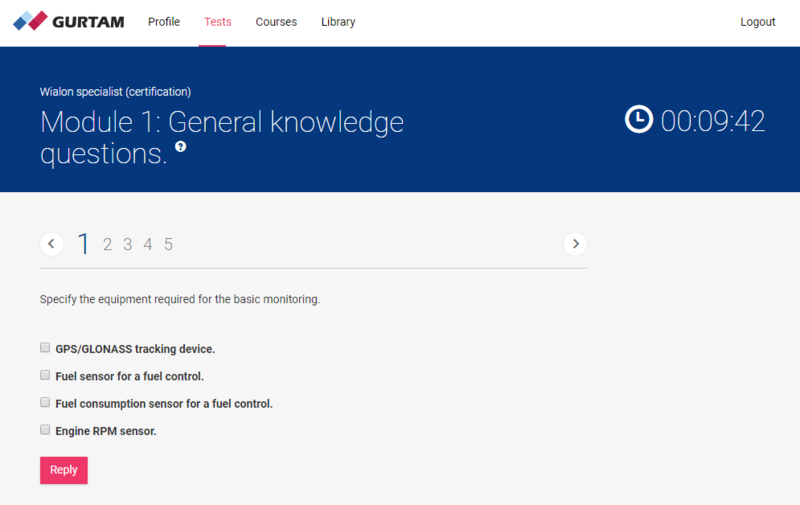 “Level 3” + you have an excellent knowledge of Wialon and its features, are able to quickly solve complex issues in various fields (fuel consumption, driving quality monitoring, service management) and provide clear detailed step-by-step instructions for them (recommended for Wialon administrators, technical support specialists). multiple choice format with one or several correct answers (depending on the question). Our assessors will not only catch the mistakes but provide their expert feedback so you’ll know which area of your Wialon knowledge could use some work. There’s always room for improvement, be it by self-study and memorizing documentation or via online sessions with Gurtam trainers — you decide which way suits you best. Currently, we’re in the process of updating our tests and courses and consider adding a separate course for NimBus — the new Wialon-based solution for public transport monitoring. We don’t plan to stop developing our training platform anytime soon, therefore we’re always happy to get your feedback! Send your suggestions to training@gurtam.com or post them to the dedicated forum thread. As for those who feel ready to take your Wialon proficiency test today, we repeat the email — training@gurtam.com. Send your request and get all the necessary details about the certification test and pricing. Good luck with your testing!